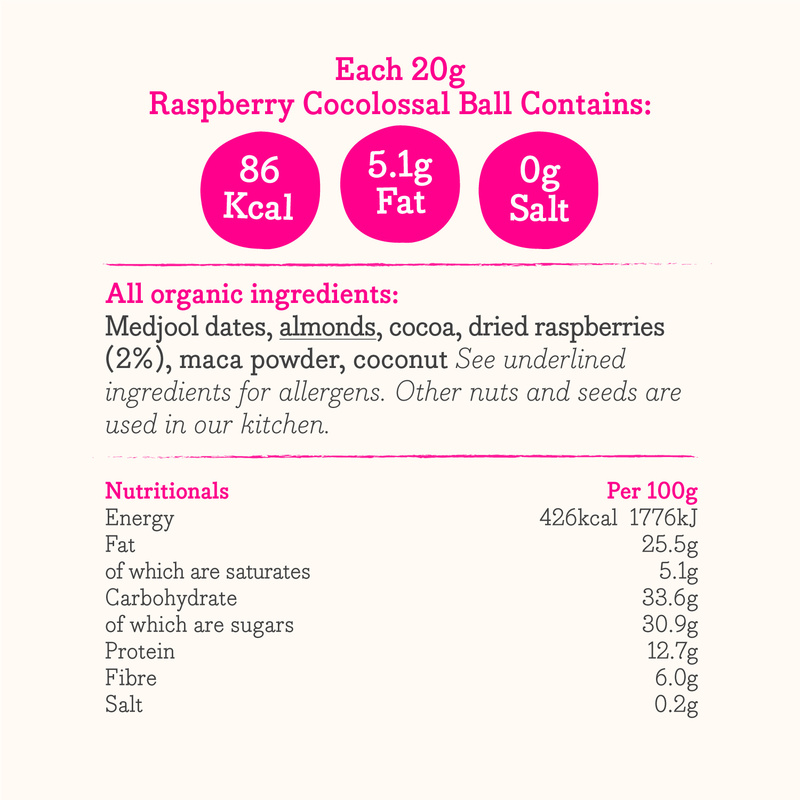 Smooth, organic, gluten and dairy free balls of raw goodness. 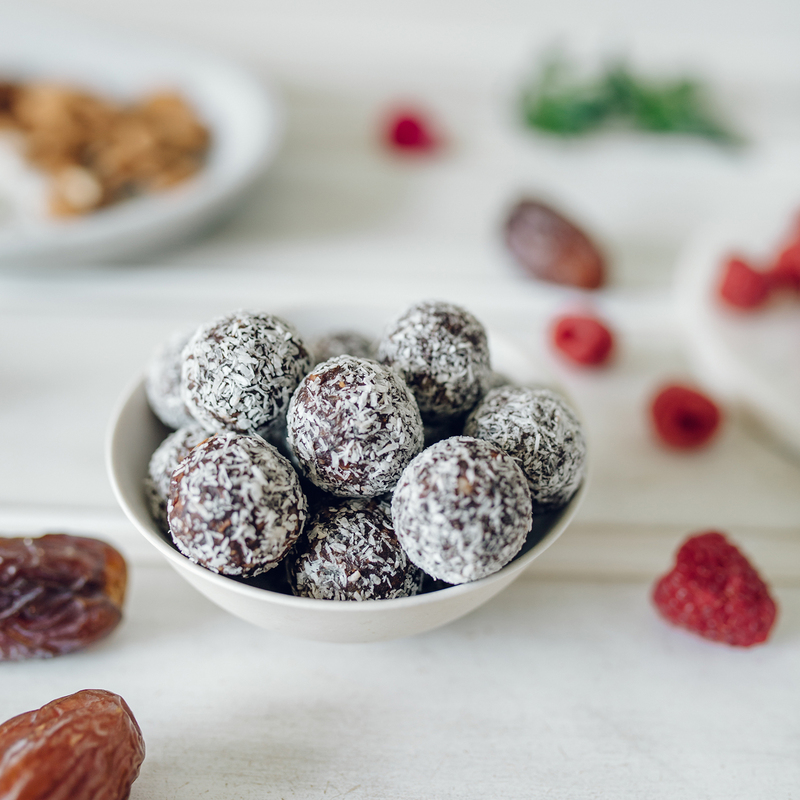 Made from Medjool dates, ground almonds, coconut, cacao, dehydrated raspberries and maca (a Peruvian herb/root vegetable that is said to increase energy, stamina, mental clarity and balance hormones). Our hand-made balls are suitable for vegans. 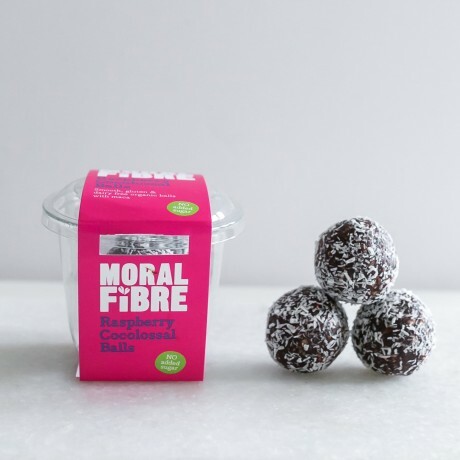 They contain 100% natural ingredients that are high in fibre, a good source of protein and contain only natural sugars.